talbots amazing sale!!! — Pencil & Paper Co. 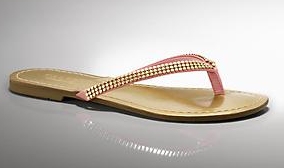 I just bought these cute gold studded leather sandals at Talbots for $13! Go in and check their sale out...an additional 40% of what was already double marked down!!! Lots of cute styles!! !